Combine almond flour, baking powder and sea salt in a large bowl. 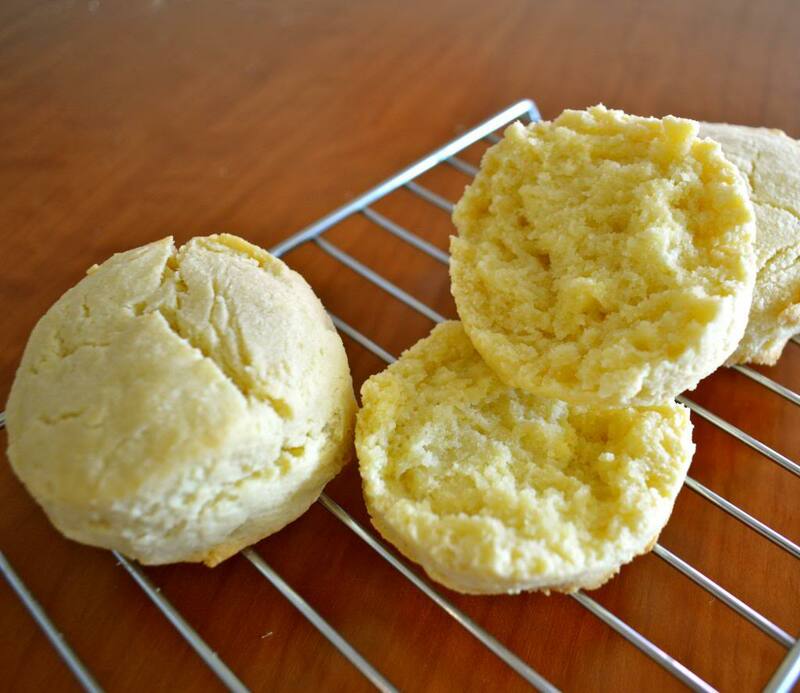 Scoop the cold butter into the almond flour mixture and mash it into the flour with a fork. Continue to combine until the butter pieces are a bit smaller than pea size. Spread a piece of parchment paper on your working surface. Form the dough into a ball and place it on the parchment paper. Using your hands, mold the dough into a circle about ¼ inch thick. Use a cookie cutter or the end of a glass to cut out circular biscuits of dough. 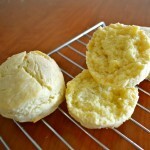 Please the biscuit cut outs on a non stick or parchment lined tray.